Two years ago I write a post about the deterioration of the double clocks at 296 Holloway Road, see here. Last week I noticed that they are not there any more, by which I mean they have been completely removed. 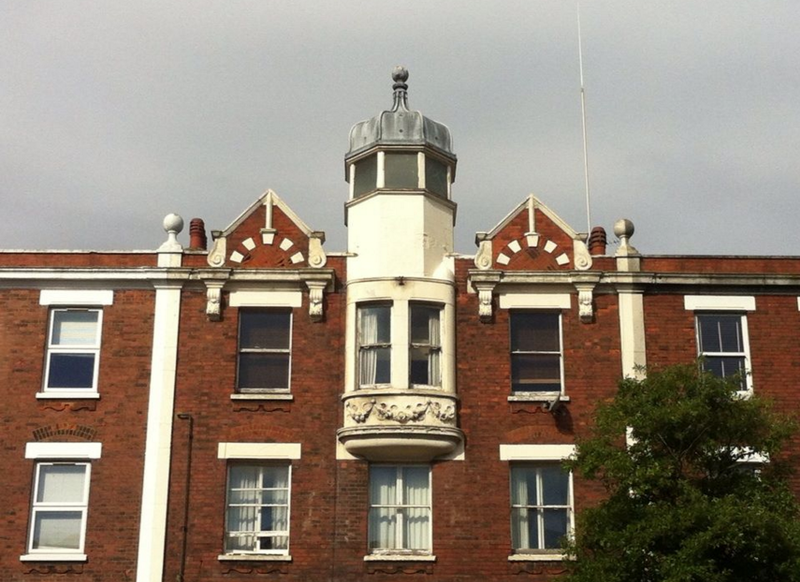 All that is visible is the outlines of some breeze blocks covered in magnolia coloured paint. 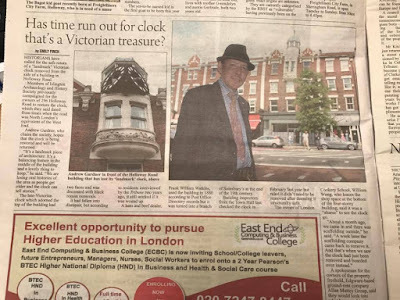 I am saddened at this – these Victorian clocks were a landmark feature of this stretch of road and Islington Archaeology and History Society had been campaigning for their restoration. The white parts were cracked but surely these areas could have been replaced with a modern counterpart because the metal sections including the hands were still intact – what has happened to those elements? Where are they now? They must have been very heavy to remove. And how and when did this removal happen? The work must've been done in a hurry, or even overnight, because almost every other day I walk up or down the Holloway Road, especially this particular section, planning my guided walks and scanning for changes and details, and I did not see any scaffolding there. 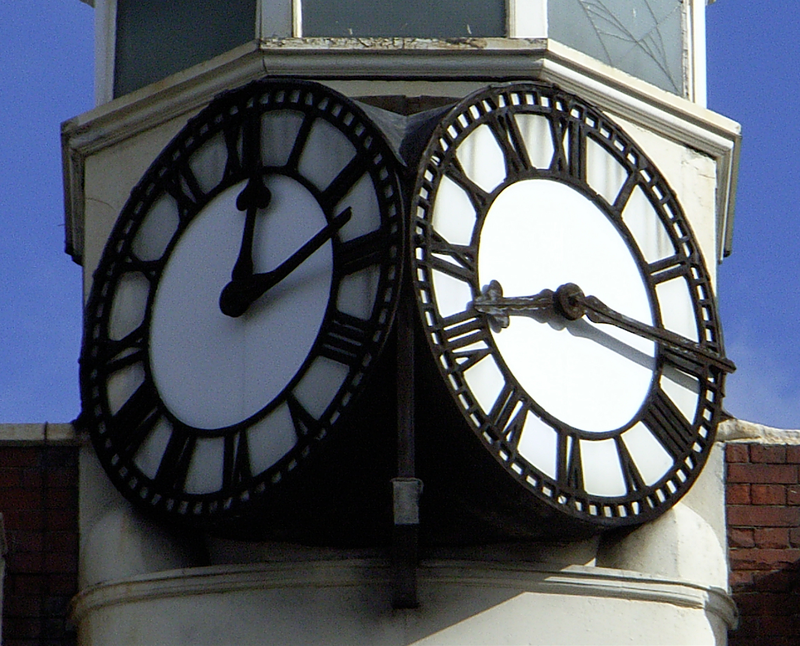 Did anyone see a scaffold or any workmen in action, or know where the clocks have ended up?